Put the spinach leaves in a boiling water and cook for 2-3 minutes. Remove the spinach and set it aside. Heat oil in a pan. Add paneer cubes and fry them till they get slight brown color. Transfer them on paper towel. 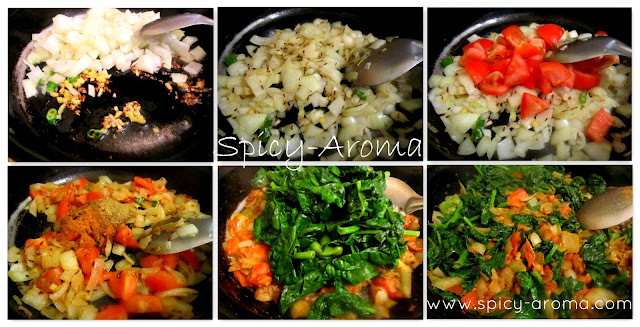 In the remaining oil, add cumin seeds, pinch of asafoetida, green chilies, and ginger. Saute for few seconds. Then add chopped onion and saute till translucent. Add in tomato cubes and cook till tender. Put red chili powder, coriander powder, cumin powder, garam masala, turmeric powder and salt to taste. Mix well and cook till oil starts to separate from spices. Finally add spinach and cook for 2-3 minutes. Switch off the heat and let the mixture cool down. Add this mixture in a blender along with 1/2 cup of water. Make a smooth puree and keep it aside. Heat butter in a pan. Add garlic and saute till raw smell goes away. Now add puree and mix well. Reduce the heat and allow curry to simmer till oil starts to float on top. It will take around 10 minutes. Add fried paneer cubes and cream. Give it a quick mix and cook for 2 minutes. Switch off the heat and serve hot with any Indian flat bread or plain rice. 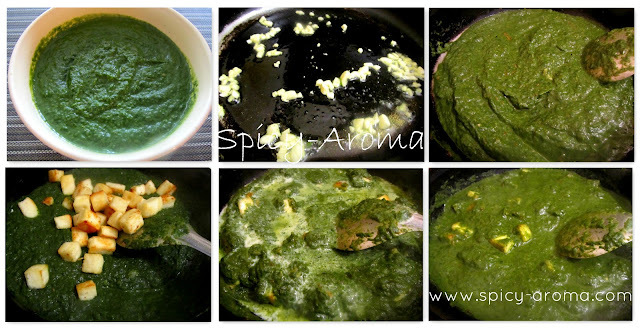 Healthy and super delicious palak paneer,our family favourite. Very appetizing photos. 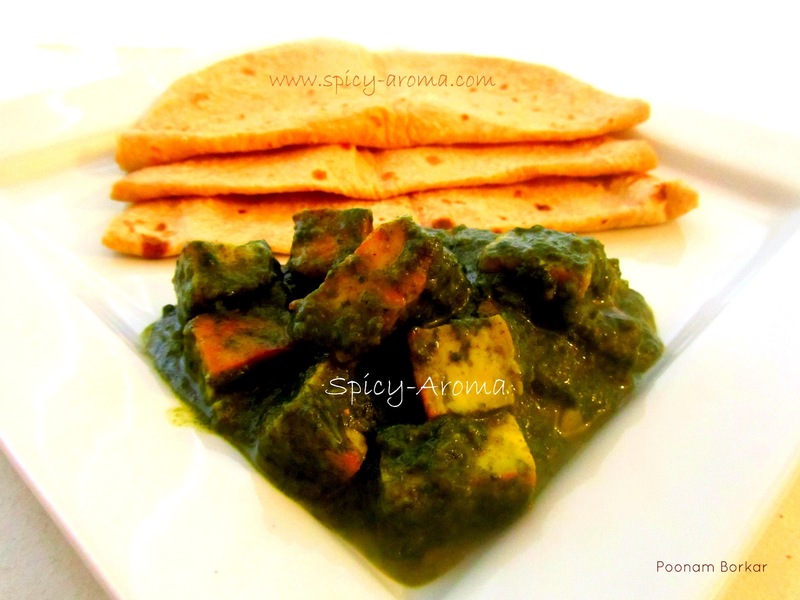 I love palak paneer. This is making me drool...delicious one ! Very delicious, my daughter loves this..